As a small business owner, you know the early years of your business are the toughest. You have to utilize a strong business model and use marketing techniques to let people know about your brand. Unfortunately, that still may not be enough if your product or service is in an oversaturated market. 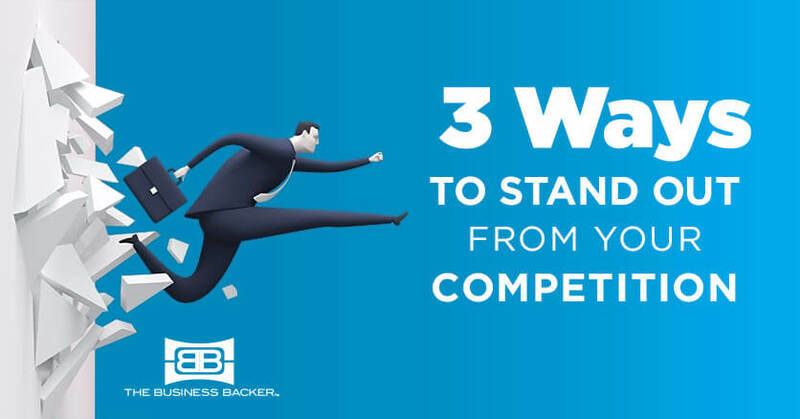 Only around 50 percent of businesses pass the five-year mark, and only 33 percent make it to 10 years.1 Standing out from your competitors is not just about making more profits, it’s also the basis for survival. The identity of your brand has to be unique enough to stand out, but relatable enough that you’re still inviting to potential customers. 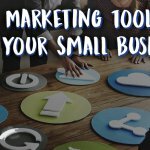 Here are a few tips and tools you can use to help discover the balance between the two, solidify your brand and help stand out from your competitors. Good customer service is expected. Great customer service is worth talking about. Greeting your customers at the door, asking how you can assist them and other run-of-the-mill gestures are common courtesy. There is a basic truth in all customer experiences: They have a need and they are considering your product or service to fulfill that. If you are able to satisfy that, good. If you can go beyond that and make the experience of satiating that need memorable, that’s where you’ll succeed. That customer could have just as easily gone to your competitors, but they came to you because of the customer service experience. Here’s an examples of going above and beyond to impress your customers. George, a third-generation locksmith in Chicago, started to see a decline in his family’s business. It was frustrating to see, knowing that the amount of people locking themselves out of their home wasn’t going down — especially in a bustling city like Chicago. The problem? An increase in competitors. The next time he got a call, he grabbed his regular tools as well as a can of WD-40. After so many years in the industry, he knew that his typical customers were frustrated, stressed and generally in a foul mood from being locked out. As a locksmith, he could provide a service just like his competitors. His know-how taught him that he could also provide a courtesy above and beyond his competition. So, after he unlocked this customer’s door, he offered to lubricate the doors and hinges throughout the house. This complimentary service was a simple gesture with a big impact. The customer felt relieved to get back into their home, but also taken care of by George. The best part? This added service cost George practically nothing to provide. He went above and beyond to make the customer’s experience memorable. Wasted spending: When you reach out to anyone, rather than a specific group, you could connect with a whole new demographic. More likely? You wasted your time and money on an audience that’s not even listening. 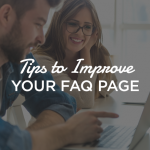 Low-quality connections: The first tip above explains why a genuine interaction is so valuable to your business. By trying to advertise to everyone, it can suggest to customers that you’re more focused on your business than on them and their individual needs. Lost identity: If you try to make your business fit any potential customer versus the right potential customer, how will they be able to tell that your business is right for them? Marketing is your way of reaching out to the customer — what kind of first impression are you making? If you’re too generic and lack identity, the customer won’t remember you from the next guy. Sarah had loved to draw for as long as she could remember. She turned her love for art and people into a lucrative career as a tattoo artist. While working in studios across New York City, Sarah tattooed many different styles. But she became known for her abstract style and unique designs. After 10 years, she was ready to step out on her own so she opened her own tattoo shop. Unfortunately, after a few months, the shop started to struggle. Sarah had hired a staff with a range of tattoo styles and even advertised her shop with the copy, “We specialize in all types of tattoos,” to appeal to a large audience. After taking some time to reflect and considering how she could stand out better, she realized she was casting too wide a net— especially in an oversaturated market like New York. Sarah had tried to appeal to all customers rather than the right ones — the ones that truly needed her product. As a result, she pivoted her strategy and focused on more abstract and modern tattoo styles. While that cut her off from those who sought more traditional tattoos, she became the go-to shop for the style she excelled in. BOGO, 50 percent off, cashback bonuses, free shipping. All of these incentives can help you gain new customers. Your competitors probably have similar deals from time to time — sales don’t always equate to loyalty. Consider this: Is there an incentive that you can implement that is just part of your brand rather than a one-time or sporadic event? Zappos has built their brand based off of their unprecedented one-year return policy. Sephora gains loyal customers by rewarding frequent shoppers free two-day shipping. Both of these offers are great examples of branded benefits that give the customer value on top of their purchase. For Zappos customers, that means an incredible guarantee, encouraging trust and major purchasing power. For a Sephora customer, that means receiving the product you need right away (and not having to pay extra for the convenience). Take time to reflect on what your customer might be looking for with your product. It may be as simple as a yearly complimentary maintenance plan for a camera or free shipping without a minimum.